The intention of this site is to serve as an educational resource. If you are a patient seeking information about the clinical experience, practice or what is traditional chinese medicine. Then take the time to read the site, as nowhere else is there an introduction any better. Note. All photos displayed on this web site are from the camera of James Middleton. 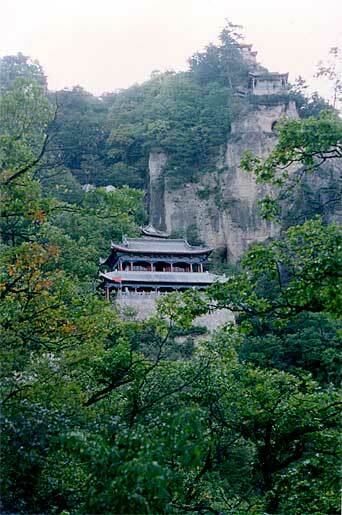 Photos; Perched high in the Dong Shan Mountain range, the oldest known home of Nature Dao study. 2. 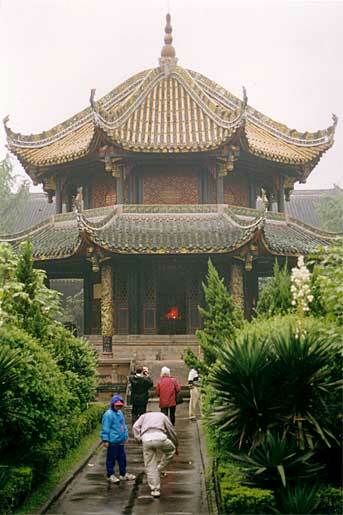 Temple dedicated to Lao Zi. James Middleton has been working as a full time practitioner of Traditional Chinese Medicine (TCM) since 1992. From 1977, he has pursued an ongoing study of the ancient cultures of India and then China. This interest was originally initiated by a wish to read the classical philosophical works reappearing generation after generation and revered by their respective cultures. Some of these works emanate from the earliest days of writing; some are compilations from the times before writing. The discovery of depth of lineage and obvious high intelligence existing within the medical and philosophical traditions (they merge together) of China, convinced him of an existing knowledge resource regarding treatment of disease, and the achievement of health, happiness and long life (always highly prized in Chinese culture). Throughout this time he has practised the physical arts, including; Karate, he taught Hatha Yoga for three years and has practised from the age of 29 ongoing - Tai Ji Quan, Wu Gong (Chinese martial arts) and Nature Dao (the study of nature) including meditation. 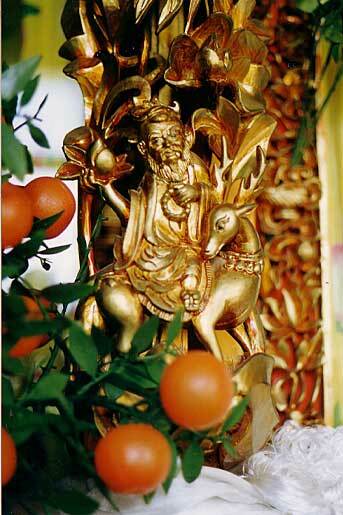 He was a senior of the Academy of Traditional Chinese Medicine (Aust.) martial and physical arts school (before the Academy closed due to retirement) and now continues as a co-instructor of these same courses at another venue. The pursuit of knowledge has taken him three times to India for a total stay of one year, twice to America, another year, and six times to China, where he has presented research papers at international conferences. His TCM education was under Professor Wong Lun, OAM, (now retired) Principal and founder of the Academy of Traditional Chinese Medicine (Aust.). James was associated with the Academy and sat on the Academy Academic and Education Advisory Committee. He has qualifications as a workplace assessor and was a Practitioner In Charge, of the academy student clinic. He served as secretary of the Traditional Medicine of China Society for eight years. He served as an academy senior practitioner on Wednesday evenings and was senior assistant to Professor Wong Lun in clinic Tuesday mornings for eighteen years. His own clinic is in Grantham Street Brunswick West. People following the progress of TCM industry bodies over the years will be aware of the differing treatment approaches/views existing within the profession. Some groups have been set up and administered by single modality acupuncturists, predominately presenting acupuncture as the practice of Traditional Chinese medicine. Other groups are administered by and attract, Chinese trained professionals. Some groups place emphasis on Chinese Medicine (minus traditional) with their focus on modern style university methods and practices. Some place emphasis upon Traditional Chinese Medicine with due regard to lineage. Other groups represent and include within their membership a variety of professionals who enhance their practices with acupuncture, herbal medicine or massage. These accept professionals who have trained within a single modality i.e. herbs or acupuncture etc. while their primary modality might be other than this. Some have institutional leanings, i.e. university or private teaching schools. All seek to find and secure their position within the Australian and international TCM community. For many years Traditional Chinese Medicine (TCM) has provided an option for people seeking something extra in their health care. Most people in the Australian community would possibly label TCM a therapy, without thinking much more about it. Those with an experienced view of clinical practice know that TCM offers much more than this. Over the years, word of mouth regarding the efficacy of TCM has increased. Expectation of a successful medical treatment has become completely normal for many people in our community. Many people use TCM as their fist port of call for traditional ailments, or as complimentary therapy for even the most life threatening diseases. Others use TCM as a means of prevention and as a major adjunct for longevity, thereby, for protection of their natural health and vitality. The patient base in Australia has multiplied, the full potential of the contribution TCM can present the health and welfare of our people is now in view. The potential for TCM to fulfil the role of companion for mainstream allopathic medicine is a reality. The essential reason why TCM is considered able to fulfil this role is the historically sound base for addressing the following issues, in response to increased awareness of these issues, from a discerning public. The ongoing quest to affirm precepts, regarding the best way to maintain natural health throughout life and well into older age. How to prevent disease and/or to reverse a disharmony at an earlier stage, before an actual breakdown of health. To find the best way to manage chronic disease, i.e. how to lead a person back to natural health after the fact of a breakdown. The expense of Allopathic Medicine; the costs of modern technology, drugs, and the high level training of Doctors has become an inhibiting factor, so too the ongoing issues concerning drug side effects and their effects on vitality, and all of this will continue to be so. There is growing awareness regarding the effective support of mainstream western medicine, whether such exists, and if so, can it work side by side and be more effective and financially viable. These are not only my words; I have heard this said by Australian and Chinese western allopathic medical professionals over the years and recently in India, from those at the highest level of Government medical responsibility. The highest level of Traditional Chinese Medicine has the lineage and capacity to fulfil this role. China and India are growing in affluence; both countries have adopted a combination strategy. Both governments fully support their own traditional medical teaching institutions and associated hospitals expressly for the purpose of supporting/complementing western allopathic medicine in effective, affordable health care. 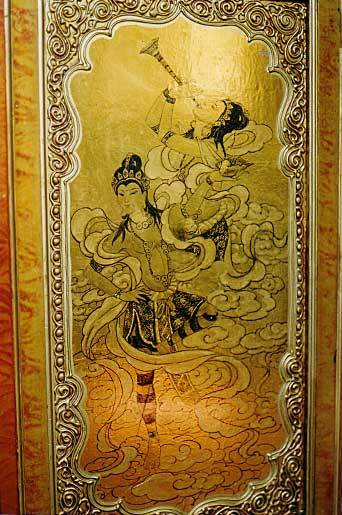 Photos; Etching carved into copper and figurine; forming part of the artistically ornate furniture piece located within the private reception room of the Tibetan Medicine Hospital, Lhasa, Tibet.